Yeah bugger the tea, give me a cold glass of milk or strong coffee with this one any day. Great photo! Looks great! I want one now! 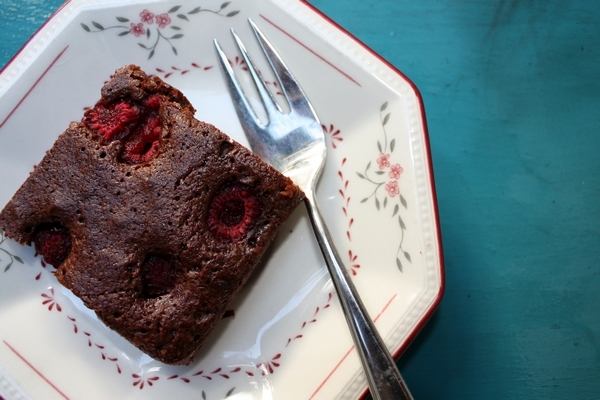 It was delicious, moist, raspberryish, with just a touch of crunchyness on the outside as brownies should be…. Raspberry studs! They’re like hidden gems waiting to be dug out. 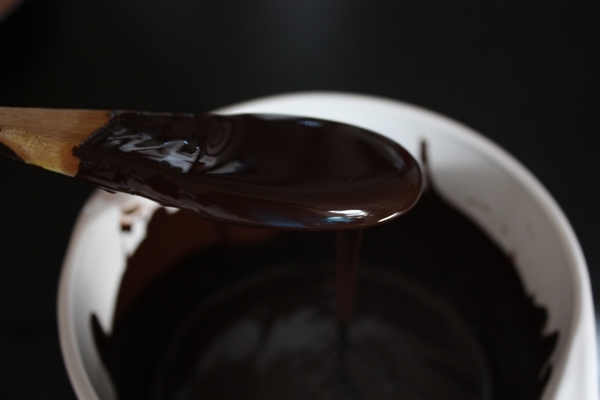 Love the glossiness of that chocolate! Perfect comfort food, and raspberries go so well with chocolate. I’m so glad you enjoyed them! They are so much easier than most brownie recipes out there, I love them, I could eat 100.